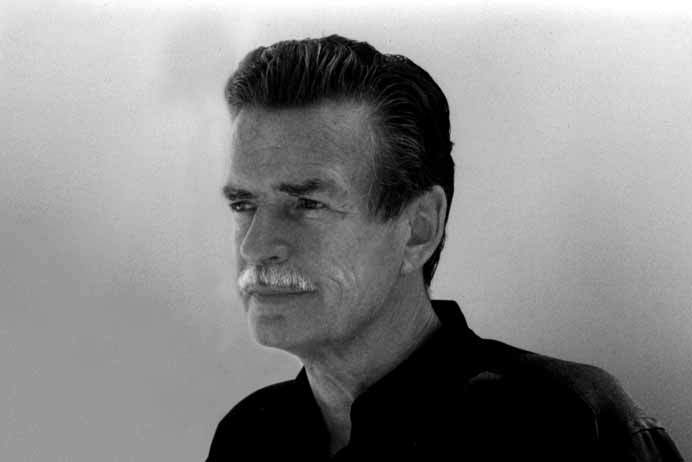 Willie McIlvanney wis niver a man for tholin praise, which wis liable tae be a difficulty for a scriever sae universally an uniquely belovit. Whauriver Willie traivelt he haed readers, an readers forby wha haed connectit wi his beuks, an wi him, in weys they fund it unpossible no tae talk aboot. Ah masel wis lucky eneuch tae meet Willie on a few occasions, but nae maiter whit level o fairly veesible discomfort he displayed ah could niver manage tae pit aside ma need tae tell him hou much his beuks haed meant tae me, an tae Scotland an aw – topics o conversation that Willie bade for as lang he coud afore cannily tryin tae direct the gabbin tae ony ither subject but hissel. This wis nae fause modestie. Willie wis possesst o very real dout aboot his ain gifts – incredible tae think the man wha wrote The Kiln shoud feel yon wey – an his embarrassment at the adulatioun o worshippers wis evendoun awthegither. Willie McIlvanney wis aw aboot cowpin ower the existin moniments, no erectin ony new anes, an the suspeecion that he wis bein set up on a pedester wis ayeweys, for him, an unhappy ane. The muckle pairt o his luve o Scotland cam straucht fae his faith in oor hunger for democracy, or whit micht at a mair atomic level juist hae been cawed fairness, the irreducible notion that nae man possess the grunds for thinkin hissel ony better or waur than his neebur, except bi his deeds – an that, even then, it wis a gey slidderie proposeetion for tae juidge. Moniment. Yon wis the wird, for as a man Willie seemed invincible. Aye, richt eneuch, he projectit a kind o sensitivity that skirtit on the edge o vulnerability, an drew the gaze o even streengers whauriver he went. In anither life he wad hae made a barrie actor, if dissemblin had been in his gifts. But vulnerability wis no exact the wird for Willie – caw it mebbe grace – an the sicht o him wis aye ill-yokit wi the idea that ane day thae startling blue een wad stop leukin an close foriver. Hinderly, they haed seen much tae remark upon. Efter a brief period o neglect i’the early years o the new millennium, Canongate’s ootsettin in 2013 gied fresh smeddum tae Willie’s beuks, an tae their author. In the last twa-three years Willie reenged aroond Scotland fundin, an bein fund bi, a hale new generation o readers. The tale o Lazarus micht hae been a hoary ane, but it wis whit fittit best, an Willie spak aften aboot the period as bein a leeterar resurrection. For him, it wis a hale new life, raither than a chaipter o the auld ane. An he wis richt, o coorse, as he usually wis. That new life has still got distances tae run, an McIlvanney the writer will cairy on lang efter McIlvanney the man, or ony o us that kent him. Willie believed in Scotland, spoke aften o his experiences campaignin durin the 1979 referendum, when Scotland’s greatest leevin scriever fund hissel oot on the plainstanes an hie streets, winnin ower streengers tae the cause o devolution. Efter the unsonsie vote, Willie wad go on tae write whit wad become ane o his better kent poems, “The Cowardly Lion”, a disjasket parable o a lion too feart tae leave its cage. It wis a wirk o rancour an heartscaud faur ayont onythin else Willie wad iver write, an shewed the maist humane an liefu writer tae hae be born o these shores in utter wanhowp at his kintra an kintra-men. Yon wis a feelin that mony o us kent weel last September. But there wis tae be nae bitterness frae Willie this time. Insteid, in the weeks efterhaund, Willie spak o his renewed howp in the creed o independence, his faith that the millions o Scots wha had fund thaimsels a voice wad niver again be denee’d it. An thir wis nae better man tae hiv said it. For whit Willie McIlvanney did, mair than onybody else in modren Scotland, wis gie voice tae thaim that hidnae ony. Willie used tae aften speak o leeteratur as bein the testimony of whit it wis like tae hae been alive – afore drily gaun on tae note that 95% o the witnesses had niver been cawed. But in beuks like “Docherty”, “Laidlaw” an “The Kiln” Willie shewed that it wisna juist possible tae write aboot wirkin class lives – it wis essential. O coorse Willie, in his usual modestie, niver really saw hissel as a champion o the wirkin classes. His pynt wis that the ordinar fowk o Scotland didna need heezin up, just a fair shak – aince they got that, the rest they wid manage for thairsels. He didna want tae be the voice o the people – they awready had ane – he juist wantit tae help that voice be heard, as it wis last September. Independence. It willna come in Willie’s lifetime, nou. But it will come in the lifetimes o thaim wha wir inspired bi him. It’s mebbe no the perfect fit, but for a man wha was ayeweys mair interestit in whit fowk helped each ither tae dae than in whit they did thaimsels, it’s the richt ane. As an Embro gadgie masel, an aince a schule maister o’ leeteratur ah likit fine whit ye hae screivit anent Willie. A guid tribut, Tammas, tae a resolute an’ weil-hertit weirman fir wirkin fowk an’ fir thir kintra. Yir pensefu airticle gies us a bonnie wheen o thochts tae refleck oan, then tak forrit intae throu-pit as wir ane tribut tae the man. Braw scrievin on a fine chiel. In ma 6th year at Kilmaurnock Academy we shared his first novel Remedy is None – it wes a revelation that modren day Scotland haed a scriever tae tell tae oor herts. Later interviewed him for the Embro Student newspaper an keepit in touch ever since…includin a memorable caur trip tae Wembley an a hurl in a bus that I organised for Scotland v Brazil in Seville. Tellt the BBC that somewhaur in the archive is the adaptation for Radio that I did o Docherty, read bi David Hayman an producit bi Stewart Conn. It’s a classic. Hope tae hear it again hey suin. It’s comin yet for a that. His influence and generosity will live on just like his fellow Ayrshire poet and writer. Loved the man and his writing. A great loss to Scottish literature R.I.P. Wullie you.ll be fondly and sadly missed.